Evelyn’s written work comes in many forms. Her personal thoughts are published on this website as essays and blog posts. In addition, Evelyn has written for printed publications, which includes her own autobiography and a growing number of contributions to books by a range of authors. Below you can browse through a reference list of Evelyn’s written work for printed publication, both as an author and a contributor. Good Vibrations is Evelyn’s Story, in her own words, of how she achieved so much. We follow Evelyn from her simple upbringing on a farm in the North-East of Scotland, through her childhood battles not to be sent to a school for the deaf where her prodigious musical talent would have remained undiscovered, to her extraordinary schoolgirl performances as a remarkable percussionist. 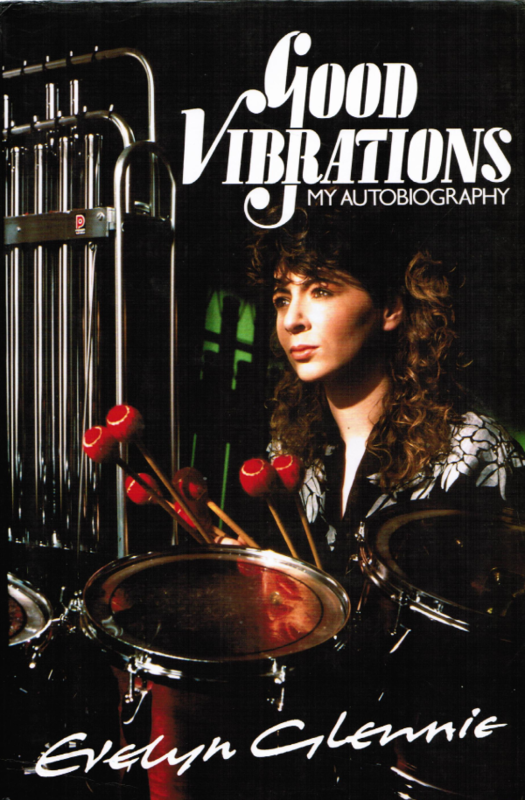 A testimony to one woman’s courage and determination to succeed, whatever obstacles life might put in her way, Good Vibrations is a book that resounds with music, hard work and sheer love of life. ‘You have made history’ were the words of the famous percussionist James Blades as rapturous applause greeted Evelyn’s first Prom. She has made history in more ways than one. The following contributions account for interviews, extended quotes, responses to general questions, chapter contributions, forewords, etc. The list does not include publications that have made use of biographical material or other generally available information about Evelyn.